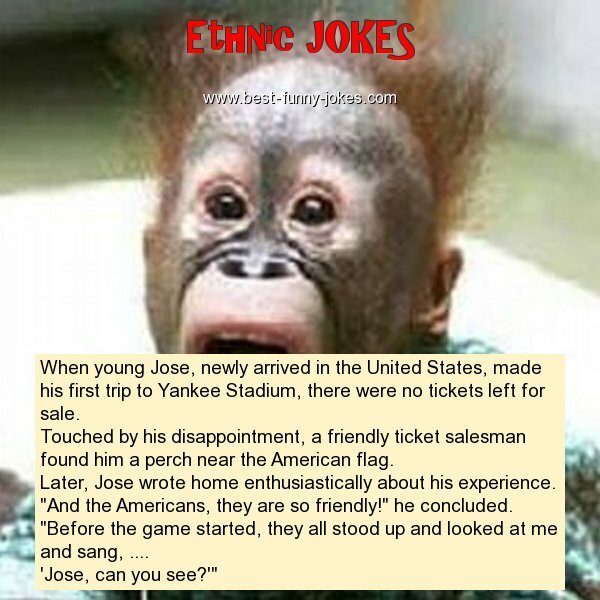 When young Jose, newly arrived in the United States, made his first trip to Yankee Stadium, there were no tickets left for sale. Touched by his disappointment, a friendly ticket salesman found him a perch near the American flag. Later, Jose wrote home enthusiastically about his experience.